Most species of acanthizids are tiny olive-green birds of the canopy or small brown birds of the understory. However, most have distinctive markings on the head or face, includ ing light eyebrows and streaks or spots, and some species have contrasting yellow or reddish rumps. Some of the thornbills and gerygones have yellow underparts while the pilotbird and rockwarbler (Origma solitaria) are reddish brown below. Most have slender bills, typical of small insectivores, while the wee-bill (Smicrornis brevirostris) has a short deep bill for prying off lerps (scales of psyllid insects). Whitefaces (Aphelocephala) also have deep bills, and the large-billed scrub-wren (Sericornis magnirostris) has a long pointed bill. 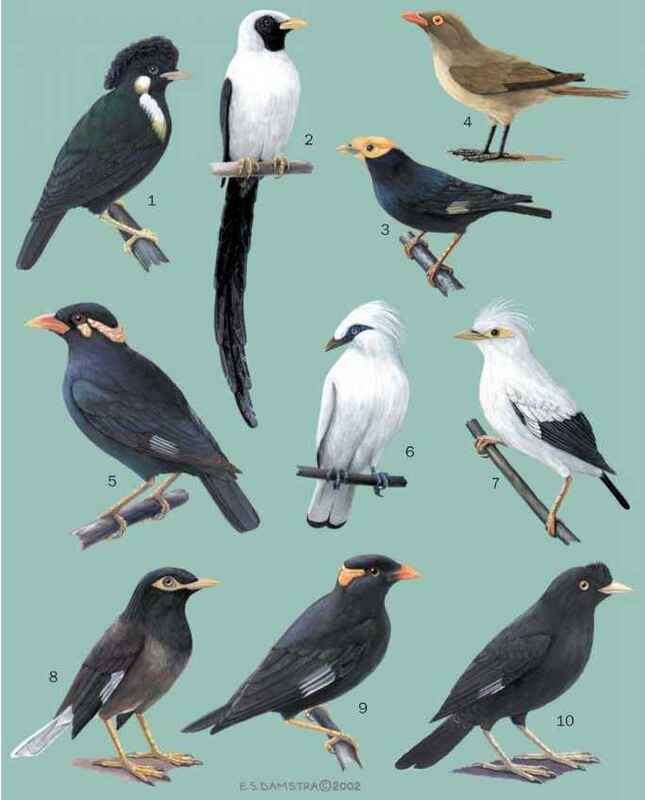 All, except for the long-tailed bristlebirds (Dasyornis), have shortish tails. Bristlebirds have prominent rictal bristles.